WEST LAFAYETTE, Ind. — Purdue officials on Monday (Nov. 29) announced that the university has decided to withdraw its recognition of the Phi Kappa Theta Fraternity for alcohol and hazing violations that occurred while the organization was on probation for previous infractions. Another fraternity, Delta Chi, was placed on probation for violating university and Interfraternity Council policies on alcohol use. Phi Kappa Theta’s two-year deactivation was scheduled to take effect Tuesday (Nov. 30), said Pablo Malavenda, associate dean of students. However, the fraternity has filed an appeal with the Campus Appeals Board, which will schedule a hearing and make a determination. If the board upholds the Office of the Dean of Students’ decision, the sanction will begin immediately. Malavenda said a university investigation found that the organization provided alcohol to minors and its members participated in hazing incidents. The investigation also determined that members were involved in thefts from university dining halls. The sanction means that the fraternity would no longer be affiliated with the university during the deactivation and could not operate as an organization, and no current or associate member of the chapter could interact with incoming or current students on the group’s behalf. The fraternity could petition for reinstatement no sooner than Jan. 1, 2013. The university also is recommending that the fraternity house be closed for the duration of the penalty. If the house would close, the university will work with the any displaced students to find housing, Malavenda said. 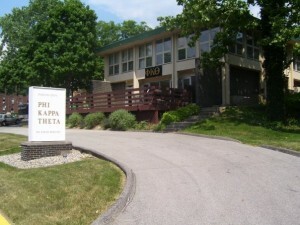 Phi Kappa Theta was nearing the end of a probationary period that began in September 2009. The fraternity was suspended for three months, then placed on probation through Dec. 31, 2010, for serving alcohol to minors. Misconduct penalties from the Office of the Dean of Students that result in suspension or withdrawal of recognition of a student organization can be appealed to the Campus Appeals Board. The board has the authority to uphold, overturn or increase the penalty, and its decision is final. The university placed Delta Chi fraternity on probation through Jan. 31 for serving alcohol to minors during an off-campus function in late October, Malavenda said. In order to maintain university recognition, the fraternity cannot host any function at which alcohol is served until Jan. 17. The fraternity also must complete alcohol education programs and participate in leadership activities.